In a democracy, people should have the right to read, and publish, the law. In theory, that should be easier than ever today. The Internet has vastly improved public access to the “operating system” of our government—the local, state, and federal statutes and regulations we are expected to abide by. Unfortunately, some states have actually fought against easy access to the law. In Georgia, state officials have used copyright to extract fees and reward companies with state contracts. On Friday, the U.S. Court of Appeals for the 11th Circuit handed down a powerful opinion [PDF] that struck down the state of Georgia’s attempt to use copyright to suppress publication of its own laws. The ruling, which gives Georgians the right to read and publish the Official Code of Georgia Annotated, or OCGA, may also improve public access to legislative documents in other states. It’s just in time for this year’s Open Access Week, a time to celebrate the social benefits that we all reap when information is readily accessible. The case originated when Georgia’s Code Revision Commission threatened, and ultimately sued, open records activist Carl Malamud and his organization Public.Resource.Org (PRO). In an effort to make Georgia’s official laws easily accessible, Malamud had bought a hard copy of the OCGA, paying more than $1,200 for it. (The 11th Circuit opinion reports that a copy currently costs $404, although it isn’t clear if that price applies to non-residents.) 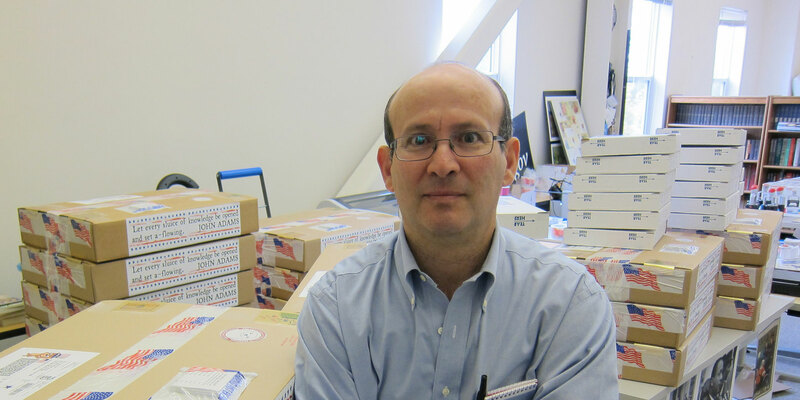 Malamud then scanned the books, and sent each Georgia legislator a USB stick with two full copies—one of the scanned OCGA, and another encoded in XML format. "Access to the law is a fundamental aspect of our system of democracy, an essential element of due process, equal protection, and access to justice," wrote Malamud in the letter he included in the package. One would think that publishing and distributing the very laws passed by Georgia lawmakers might be viewed as a common-sense public good. After all, these are the rules Georgia residents are supposed to follow. But when PRO distributed the OCGA online and on USB drives, Georgia’s Code Revision Commission actually sued for copyright infringement. The commission, which collects royalties from sales of electronic copies of the OCGA, claimed that only its chosen publisher, LexisNexis, had the right to distribute copies. Friday’s decision means that Malamud and PRO can continue with the project, as no part of the OCGA is covered by copyright. The opinion throws out the specious notion that official copies of the law can be privatized by adding annotations, when those annotations were themselves dictated by the legislature and were widely considered to be “part and parcel” of the state’s legal code. More importantly, it makes clear that Georgia’s annotated laws “are attributable to the constructive authorship of the People.” The opinion recognizes that when it comes to accessing the work of lawmakers, the debate must be grounded in our notions of democratic rights. It isn’t simply an argument about dividing up a market for published items. This is a major step forward in a larger fight to free the law from copyright. EFF represents PRO in a separate litigation, in which Malamud and PRO are fighting to publish codes and standards that have been incorporated by reference into law. Those standards, which relate to building and product safety, energy efficiency, and educational testing, were incorporated by reference into regulations by state and federal agencies, after heavy lobbying by the standards development organizations that created them. Yet those same groups have fought PRO’s efforts to publish the standards. That case is headed back to district court for further proceedings, after EFF and PRO scored a win this summer when an appeals court ordered the district court to re-consider the issue of fair use. In the Georgia case, PRO was represented pro bono by Alston & Bird and Elizabeth Rader. Lawyers for Georgia’s Code Revision Commission didn’t try to argue that the words in the statutes themselves were copyrighted. Rather, they argued that it was the annotations in the “Official Code of Georgia Annotated” that placed the work under state copyright, and mandated the payment of fees. Annotations are notes and citations that are interspersed within the statutes and help to guide lawyers and judges. The appeals court found that the annotations “represent a work, like the statutes themselves, that is constructively authored by the People.” To reach that conclusion, the court took a close look at how the annotations came to be. Those annotations were created by the Code Revision Commission, which “indisputably is an arm of the General Assembly [the state legislature],” according to the 11th Circuit opinion. Of the 15 members of the Commission, nine of them are sitting members of the General Assembly, and the Lieutenant Governor also has a seat. The Commission hires LexisNexis Group, a firm that publishes legal documents and data, to prepare and publish the annotated code. While Lexis editors actually draft the annotations, the appeals court noted that they do so “pursuant to highly detailed instructions,” laid out in Lexis’ contract with the Commission. The Commission must sign off and approve a final draft of the annotations. Finally, the OCGA is subject to the approval of the Georgia General Assembly itself, which votes annually to make the OCGA the official publication of the state’s laws, including the annotations. While the annotations don’t have the full force of law, the appeals court found they are “law-like” in that they are official commentary “on the meaning of Georgia statutes.” The judges held that “the annotations cast an undeniable, official shadow over how Georgia laws are interpreted and understood.” Indeed, Georgia state courts regularly turn to OCGA comments as “conclusive statements about statutory meaning and legislative intent.” The opinion notes 11 state court cases in which OCGA comments, rather than simply statutes, were cited as definitive sources on legislative intent and other matters. The Supreme Court first addressed the issue of whether government rules can be copyrighted in the 1834 case of Wheaton v. Peters, when it held that “no reporter has or can have any copyright in the written opinions delivered by this Court.” In an 1888 case called Banks v. Manchester, the Supreme Court held that the opinions of state court judges can’t be copyrighted, either. In Banks, the plaintiff was a publishing firm chosen by the state of Ohio. But the high court emphasized that only “authors” can obtain a copyright in their work, and that the firm publishing court reports had not really created new works. Nor could the judge in the case be regarded as an author with a valid copyright, having prepared the opinion in his official judicial capacity. Even in cases where there is enough legal wiggle room for states to place some government documents under copyright, in our view, it’s terrible policy. Copyright is meant to spur the production of new works, not create profit motives around the work of public employees. Friday’s decision in the PRO case places appropriate limits on the validity of state copyrights, and we hope states outside Georgia take the opportunity to reconsider the practice of using copyright in ways that limit public access to public information.